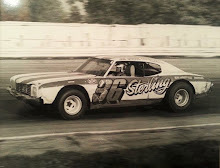 Cedar Rapids, Iowa (September 16, 1983) - Ed Sanger smashed a four-year drought at Hawkeye Downs Speedway into 3,500 pieces Saturday night. 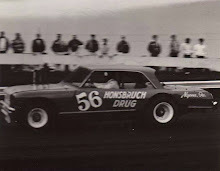 Sanger captured the 100-lap NASCAR Grand American late model feature in the Yankee Dirt Track Classic before a crowd of about 4,000. The victory netted the Waterloo driver and car builder a cool $3,500, and was his first triumph at the Downs since 1979. 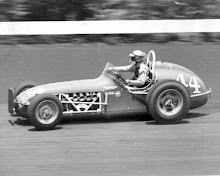 Roger Dolan of Lisbon relinquished the lead to Sanger on the 89th lap of the main event, and Sanger beat Dolan to the checkered flag by about a second. Leon Plank of Eau Claire, Wis., was third. Waterloo's Tom Bartholomew was fourth and Ken Walton of Viola fifth. The five mentioned racers were the only ones to finish on the lead lap. Sanger and Plank started on the front row of the 28-car field. Dolan began in the third row. It was apparent early in the race that the winner likely would be one of those three. Plank took the lead from the onset and held it until Sanger took over on the 34th lap. 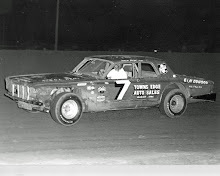 Dolan passed Sanger for first place on lap 69 and was in front 10 laps later when Joe Merryfield clipped a large section of the protective aluminum fence between the third and fourth turns. Merryfield, of Des Moines, was unhurt. The incident caused laps 79 through 87 to be run under a yellow flag while the mess was cleared. Then, two laps after the restart, Sanger soared past Dolan on the first turn and kept the lead this time. 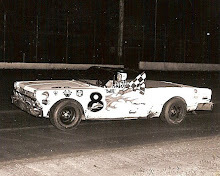 Sanger drove the car he built for NASCAR superstar Bobby Allison's use in the Miller 100 at the Downs in June. It was the largest payoff Sanger has earned since he won over $8,000 for taking the World 100 in Eldora, Ohio, several years ago. Dolan picked up $2,500 for placing second. He was disappointed at not hanging on for the win, but could take some consolation in putting a stranglehold on the NASCAR Central Region point derby. With only one point race left at both Quincy, Ill. and Holts Summit, Mo., Dolan has a lock on the championship. What that means is $10,000, plus another $1,000 times three for winning track titles at Cedar Rapids, Dubuque and Farley. “That's what makes it all worthwhile,” Dolan said of his regional title-to-be. Jack Mitchell of Cedar Falls nosed out Davenport's Mike Wheeler to claim the 25-lap IMCA Modified feature. Mike Schulte of Norway was third.